← Spring “Open House Season” begins… homes available…nesting instincts! This entry was posted in Appreciation, Kindness, Life, Loving kindness and tagged Appreciation, Awareness, Encouragement, Gratitude, Happiness, Inspiration, Intention, Kindness, Life, Love, Mindfulness. Bookmark the permalink. love your little sugar packets. Kind words, kind thoughts do add a wondrous sweetness to life, don’t they? 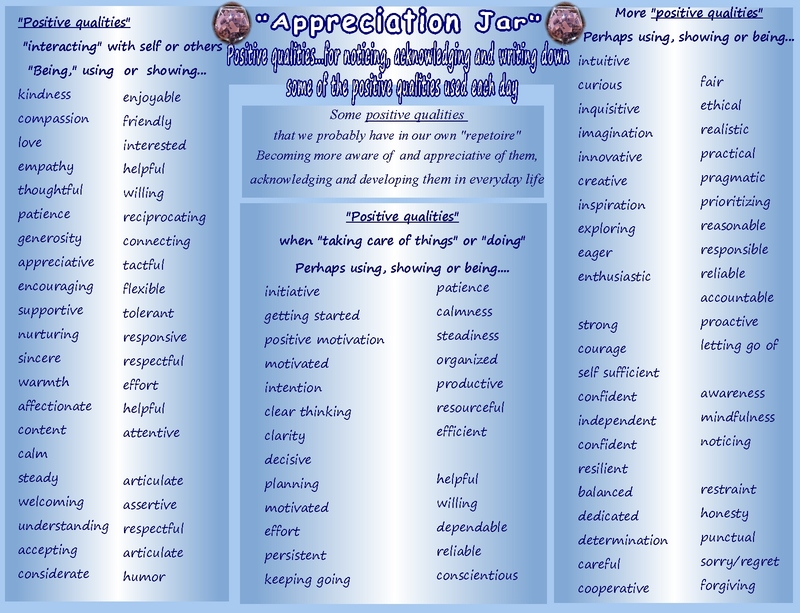 My appreciation jar is, like yours, is becoming a wondrous gift to self. Yummm… healthy sweets! They do seem to be adding to the sweetness of life…I agree. At first it took a bit of “effort” to do this, but now it’s just a soothing part of the day. 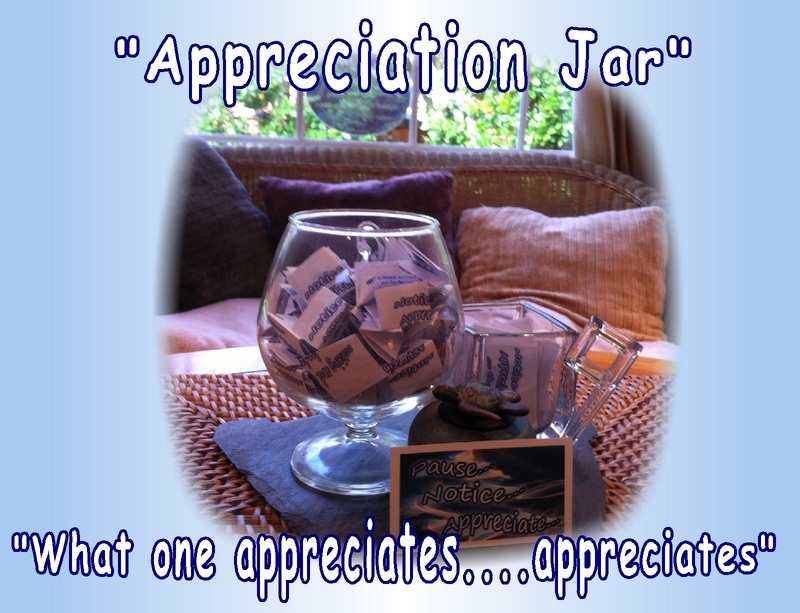 I’m so happy to hear that your appreciation jar…the “Awesome Jar”…is such a gift. thank you… it’s a special “practice” that seems to be leading to quietly positive benefits… I had been encouraged to do this for several years…seeing that both Joss and Marie were doing it helped “get me going”… and I think Becca from On Dragonfly Wings and Buttercup Tea is doing it too. And a new comment from Ellis Nelson, below…the author of that very special book “Into the Land of the Snows” writes that she and her husband are doing this too. 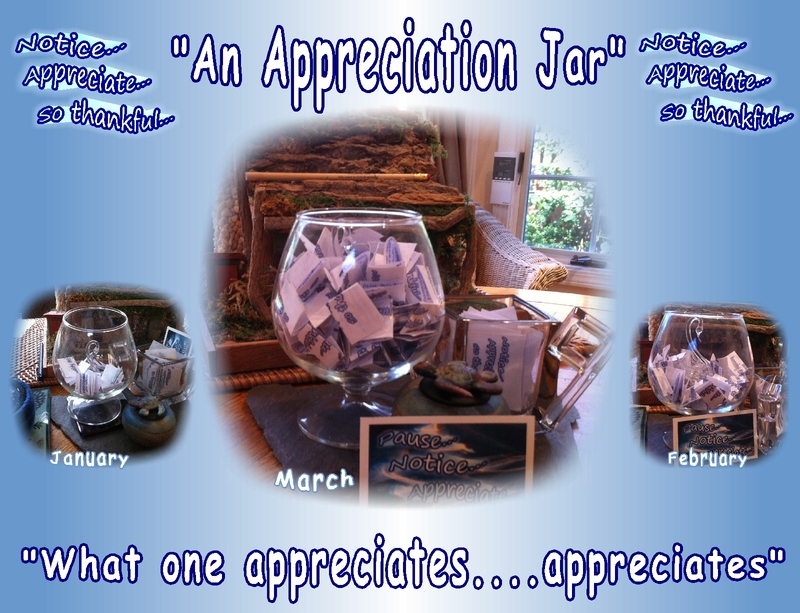 I don’t add to the jar on a daily basis either..at first I did, but I tend to notice more appreciation in the moment now, which is a big part of writing it down in the first place…to be able to notice and appreciate in each moment, as much as possible. I’m also finding it helpful to add when I’m not feeling so positive…to shift my perspective and awareness. Again…Marie, I’m so happy for you!…. soooooooo happy. Thank you, Kathy! You touched my heart with your expression of gratitude that I can enjoy music again. 🙂 May we continue creating many moments where deep gratitude is felt. Marie, you mention feeling more comfortable…did you have an operation to help with hearing? No Kathy, I am wearing hearing aids in both ears for the first time, and they are helping me to hear sounds better. It helps me to feel more grounded as it’s weird hearing from one ear. I am still focusing on alternative ways of healing my ears but at least I am more comfortable now. Oh, that’s good… I think having more balanced or “directional” hearing awareness can be helpful for many people…good idea…. And of course, alternative healing methods are so positive, too. My husband and I are doing this. We jot down happy moments to celebrate and put them into a jar. We’re thinking of spending next New Year’s eve reliving all the great things to be grateful for in 2013! It’s another kind of mindful, gratitude practice. How special for both of you to be doing this together..what a special New Year’s eve you’ll have… appreciating so many blessings from throughout your year…special. I am going to add this to the Nurturing Thursday post for today!! YEA YEA YEA!!! It’s really filling up…I’m looking around in cupboards for a larger vase… and it seems to be a good way to nurture appreciation in one’s life, with oneself and one’s relationships with others… triple bonus!…cheers to Nurturing Thursdays! Pingback: Nurturing Thursday – Ban | "On Dragonfly Wings with Buttercup Tea"
We started one too! And it’ll be overflowing long before the end of the year. We plan to review all the slips on New Year’s Eve (if we can wait that long).